It’s time, once again, for Big Easy Magazine to release our regular monthly edition of featured articles! 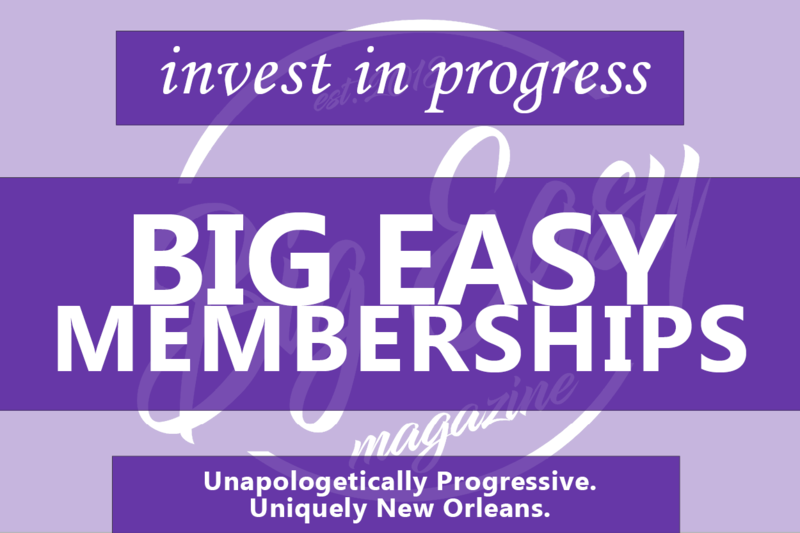 Our editorial board meets at the beginning of each month to discuss what’s relevant, what’s of interest, what’s progressive, and what’s New Orleans. With everyone having a say, we come together on a game plan for the next twenty or so days to develop and conjure up various essays, reports, and interviews on topics that we hope will push our community and culture forward and upward. Ranging from marijuana legalization to ableism to tragedy, Big Easy Magazine continues to cover eclectic topics and diverse voices, all of which can have a positive impact on this city and her residents. On our neighborhoods and our neighbors. Unapologetically Progressive, Uniquely New Orleans: The following is our list of 5 December preview highlights! Regarding ableism in film and media, we interviewed the filmmakers of Chained for Life and an activist about the movie and the issues represented. How does the birth experience differ between the rich and the more disadvantaged populations of New Orleans? A personal look at what living life with Tourette’s is like. A tribute to New Orleans rapper Young Greatness, and a look at street culture, and the potential damage it causes. The December Edition publishes early Saturday, December 1st, at BigEasyMagazine.com. Sign up for our newsletter now to receive an update on when it goes live, and follow us on twitter and facebook.